This 44 piece dinner set from the ZWILLING loft range is perfect for extravagant dinner parties or every day use. 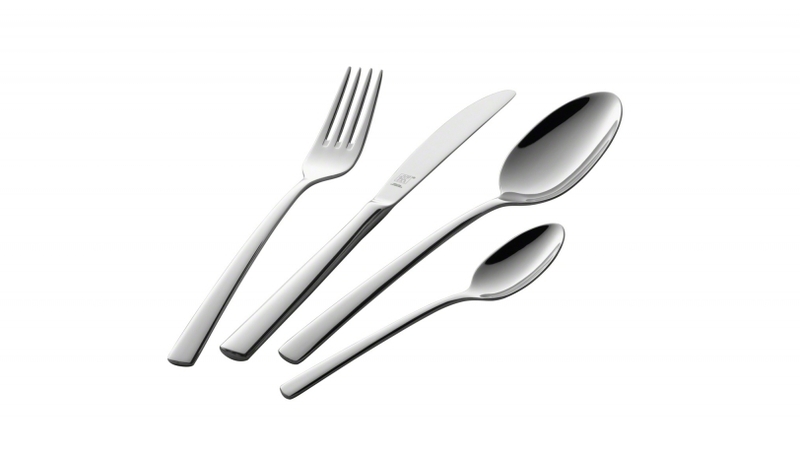 Thanks to a 18/10 stainless steel construction, each piece of cutlery is built to last. Not only is this cutlery set a beautiful set piece for you dinner party, but they are also practical due to being dishwasher safe. The set contains 6 dinner knives, 6 dinner forks, 6 dessert knives, 6 dessert forks, 6 dessert spoons, 6 soup spoons, 6 tea spoons and 2 serving spoons. Add a quality dinner set to your kitchenware collection and enjoy the beauty and practicality of this amazing product.